This week, we look at the largely-lost Medieval art of timbrel vaulting structures and the related, more modern (late 19th century) system of interlocking terracotta tiles which create what are known as Guastavino domes, after their inventor, Rafael Guastavino. The Architecture Department at MIT sponsors the Guastavino Project and Guastavino.net website. Boston was the epicenter for Guastavino domes in North America because the Guastavino Company and Guastavino Company Tile Factory were based there. There were nearly a thousand such buildings throughout the US and some 65 in the Boston area. The website has information and pictures of each of these buildings, maps of their location, info on walking tours of Guastavino buildings around Boston, etc. In 2005, members of MIT’s Guastavino research team traveled to the UK to help build a Guastavino dome for the Pines Calyx conference center near Dover, Kent. 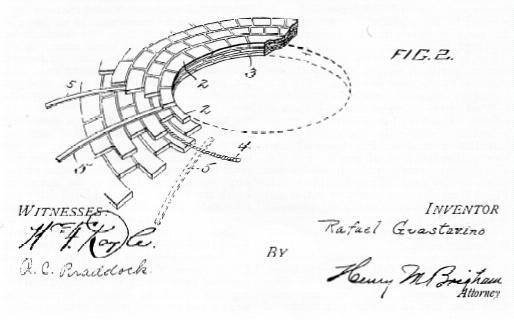 The design and construction of the domes drew heavily on Guastavino research done at MIT. Rafael Guastavino refined the technique of erecting thin terra-cotta tile, a thousand year old building system of ‘Catalan Vaulting.’ His company was involved with more than 1000 buildings in North America between the 1880s and the 1960s. 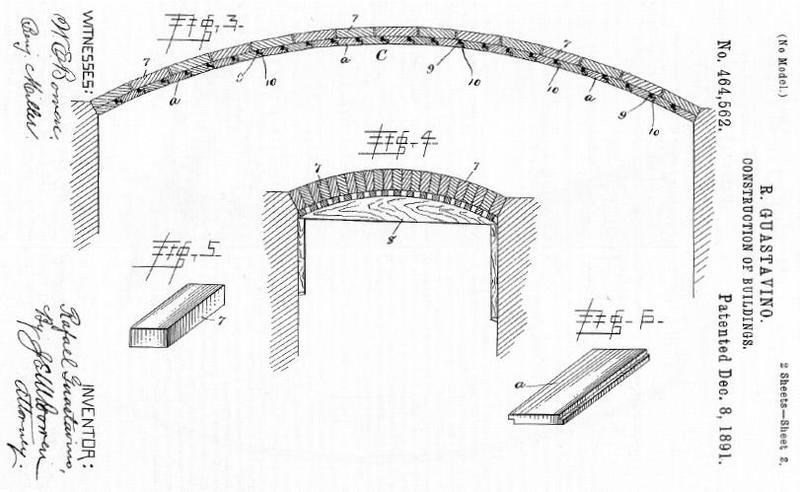 Although Guastavino tile vaulting contributed to many prestigious buildings of that time, the structural behavior of this construction system has received little or almost no attention in the literature. It is the intention of this thesis to study this empirically designed system by using tools of modern engineering: experimental modal analysis, thin elastic shell theory and finite element analysis. Read her assessment doc here. One interesting project built using a modern interpretation of these domes was the Cuban National Art Schools, an ambitious post-revolutionary (1961-65) plan to create idealized centers for creative/arts education. There were plans for such schools all over Cuba. The first one was never completed and much of the complex is now in ruins. One of the designers behind the project was a student of Antoni Gaudí­ who did a lot of innovative work with the timbrel vault.